I went through some expensive engine difficulties after having rebuilt an IO-360 engine for my Sportsman. The lifters and camshaft lobes showed signs of significant premature wear after only 85 hours tach time. The original engine had 150 hours since new and was recovered from a wreck and post-accident fire. After disassembling the engine and finding the insides clean, I made the decision to rebuild it. The fire hadn’t melted the thin engine baffling, so I knew that externally, the temps had been under 800°F. I packaged up the case and sent it off for inspection and reconditioning. I did the same for all internal components and they all came back looking like brand new with yellow tags attached. I even made it a point to inform those who were inspecting and approving the parts that they had been in a post-crash fire and I was concerned about warpage, surface hardness, etc. Before reassembly, I converted the engine to an IO-375 requiring a new crankshaft and camshaft. So, the only original internal components I used in the rebuild were the lifters. In doing a thorough job of educating myself after the discovery of lifter/cam wear, (in hindsight) I should have tossed them and purchased new ones. I have since learned that Lycoming and many reputable engine overhaulers discourage lifter overhaul. 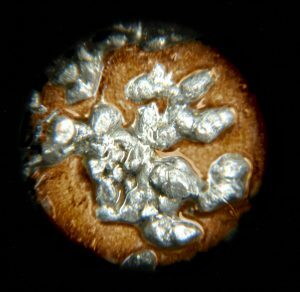 The hardened surface is very thin and grinding and polishing the surface can result in too much material removal. A 50% reduction in particle counts can mean up to a 30% life extension. I don’t know if this was the cause of my issues, but I’ve yet to find any evidence pointing to a different cause. Now that my engine is all back together with new cam, lifters, bearings, pistons, rings, seals, gaskets and my wallet is a lot thinner, I am fanatical about the condition of my engine especially the oil and internal cleanliness. After removing the filter from engine, use a filter cutter to split open the filter. During the engine break-in period (second time) I phoned Klaus Savier with a question about my Lightspeed electronic ignition system. After explaining to him about my premature engine wear, he recommended that I consider installing an AeroMag (magnet) on my oil filter to collect all the tiny ferrous contaminates that were escaping through my oil filter and circulating through the oil. He had my full attention. I hung up the phone and immediately dialed A/C Spruce and ordered one. I didn’t fly one minute more until I had clamped the powerful magnet ring on my oil filter. It may not look like much, but feel the grit and you will believe! I had already changed oil once after the initial 4 hour break-in but decided to fly another 10 hours with the magnet installed prior to the 2nd oil change. Upon removing the filter and cutting it open for inspection, I was pleased that my $80 investment was actually working. The collected material on the inside of my filter looked just like the AeroMag advertisement photo. What blew my mind was when I scraped a bit of it from the filter and gently rubbed it between my fingers, I could actually feel the grit! Even worse, I turned a finger over and scraped the flat surface of my fingernail against the filter and REALLY felt the grit. These are the tiny ferrous particles that most likely come from ring/cylinder wall wear measuring less than 25 microns in size and get through the oil filter. 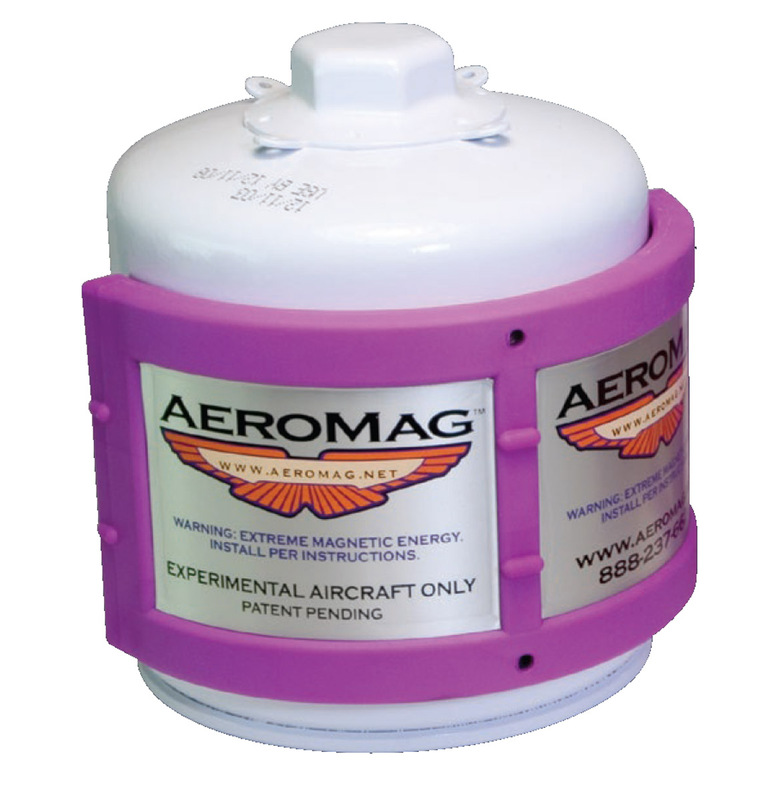 I was an immediate believer in the AeroMag and went to every pilot/mechanic at work showing them the magnet, the filter and the grit. My only disappointment was that I was without the magnet during the initial 4 hours of engine break-in (where most engine wear takes place). Oh well, it’s going to be a permanent part of Sportsman N11YM and gives me great peace of mind knowing that my engine oil will be much more contaminant free. inspect for large particles. Pass a magnet across the element to pick up possible ferrous pieces. I am using a Champion oil filter but understand that Tempest oil filters contain a smaller, internal magnet for the same purpose. I don’t know how effective the tempest magnet is, but I can attest to the fact that the AeroMag is very powerful. I can’t pull it directly off the filter. It has to be slid off the filter to be removed. It is supplied with a SS hose clamp as an extra means of securing it to the filter. So, if you haven’t yet picked up what I’m laying down, this product has my wholehearted recommendation! 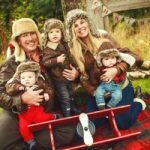 I called the FilterMag company and spoke with Randy Yount, VP Marketing and Operations. Randy is a pilot and said they offer AeroMag to experimental aircraft owners, but are not yet available for certified engines. Randy informed me that AeroMag is a part of their business. Their main focus is magnetic oil filtration on very large, very expensive diesel engines used in heavy industry such as in mining operations where the diesel engines in those mega-sized dump trucks approach half-million dollars in value. The mining companies are very aware of equipment down-time costs and how much they can save when engine life can be extended. Photo of my filter after 10 hours. Randy sent me a lot of reference materials to study. I read the Sayles-MacPherson Study: Influence of Wear Debris on Rolling Contact Fatigue (available for download in the Files Library). What I mostly retained is depicted in the attached graph. 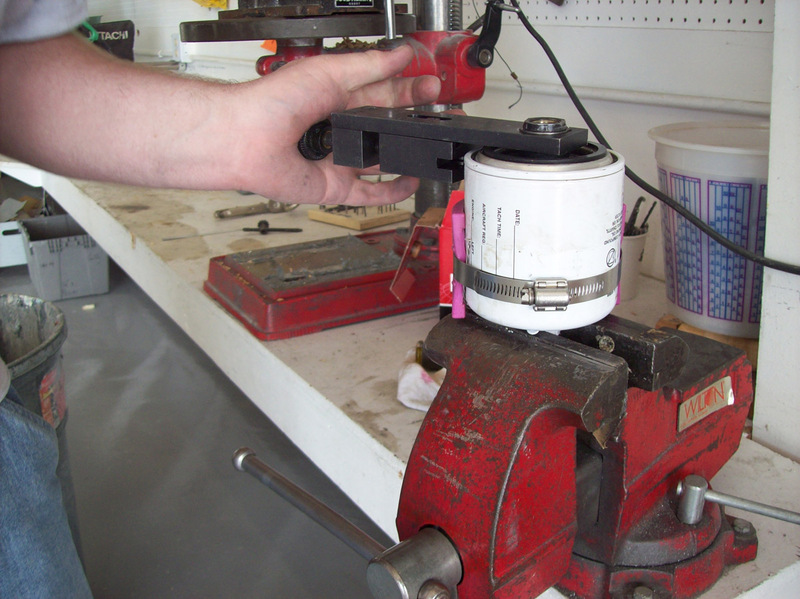 In conducting life cycle tests of helicopter roller bearings they discovered what might seem obvious. 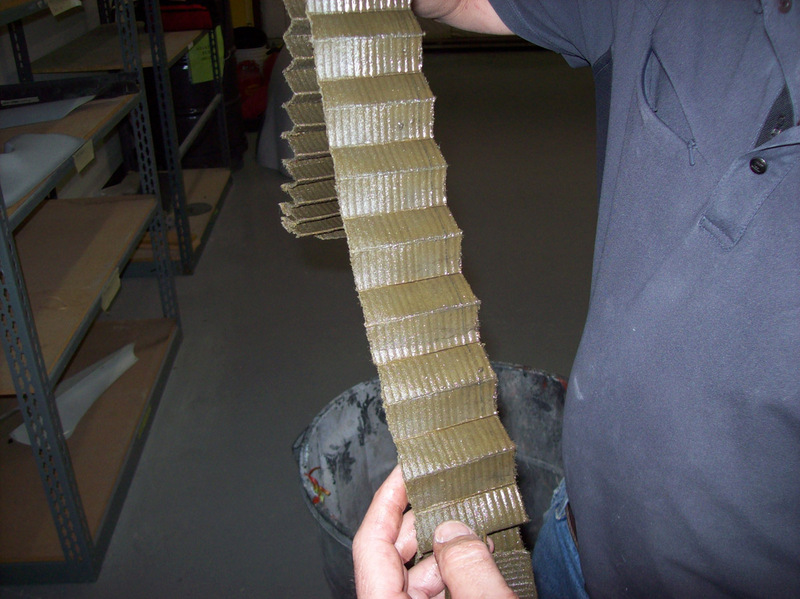 The finer the filtration, the longer cycle life they obtained from bearings. The typical oil filters we use on Lycoming engines (and our autos) remove particulates down to approximately 20-25 microns in size. 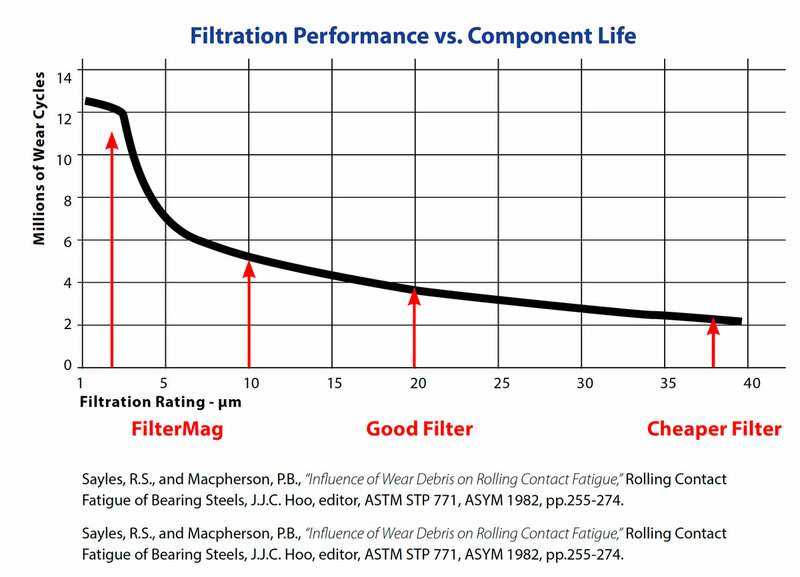 The chart shows that roller bearing life is extended three times longer when the filtration is improved from 20 microns to 3 microns. 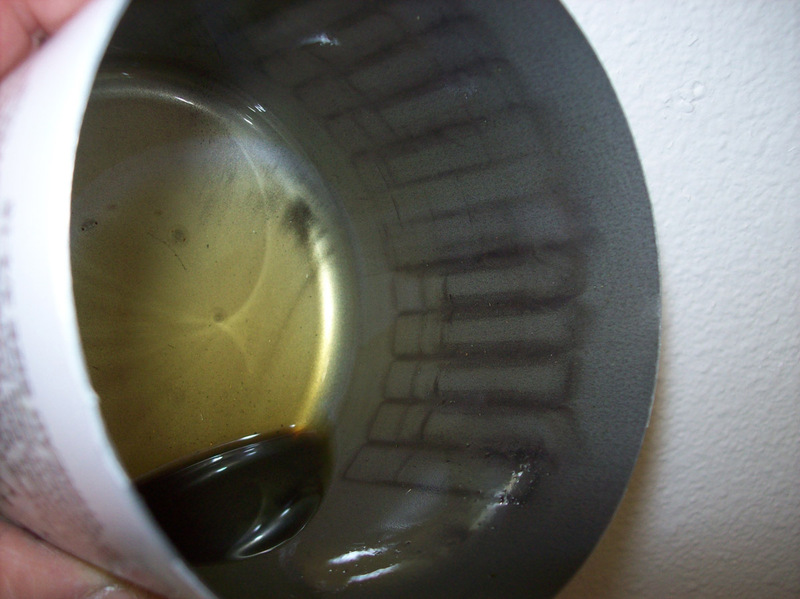 I doubt there is a direct correlation to engine wear life since ring wear, for example, is a much different environment than roller bearing wear, but it is easy to surmise that removing the smaller ferrous contaminates from engine oil will result in less engine wear and contribute toward extended engine life. Within the tight clearances of today’s aircraft engines, normal wear generates tiny steel particles that are carried away in your oil. These particles are so small they pass right through traditional filtration. When the oil circulates back into the equipment, these same particles are carried into every lubricated space. 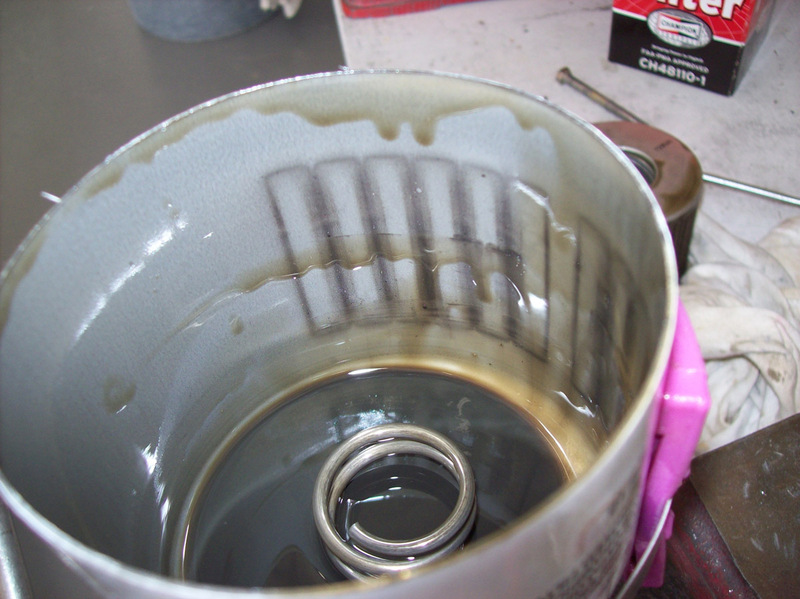 This particle-laden oil will continue to lubricate, but it will also cause an exponential increase in wear while it circulates. The longer the oil is used, the greater the wear, the shorter the life, and lower the reliability. AeroMag extracts normal, wear-causing steel particles from your oil with its powerful, focused, magnetic field technology. These particles are permanently trapped on the inside wall of the filter and are thrown away when the filter is changed. 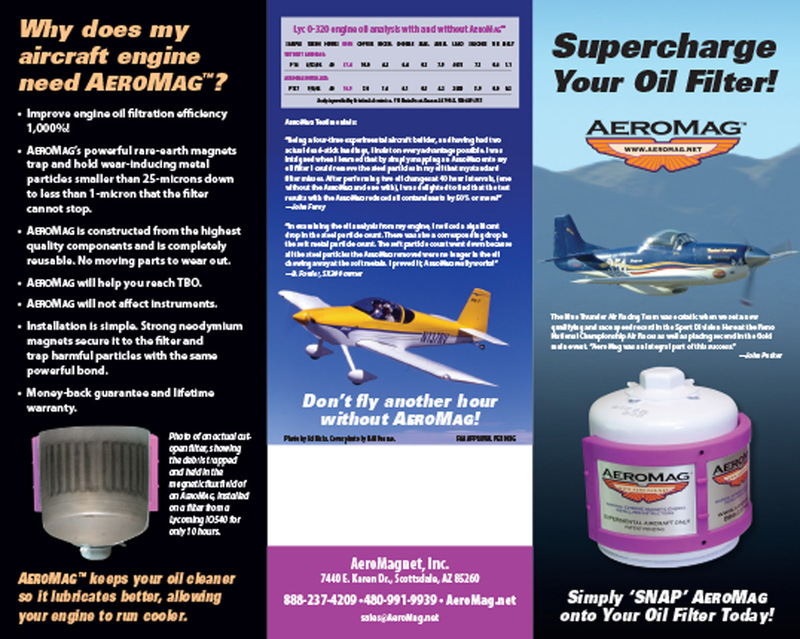 Slide the AeroMag off the old filter; snap it onto a new one and it goes right back to work protecting your engine.